As an International Baccalaureate (IB) World School, The York School is an ideal choice for families relocating to Toronto, Canada. Not only is our curriculum and approach global in perspective, but our school is located in the heart of one of the world’s most multicultural cities – our local community naturally adds an international dimension to our classrooms. Students who have lived and studied in other countries quickly feel at home at The York School. In fact, 23% of our students represent over 30+ countries worldwide having relocated from countries such as Australia, Brazil, China, Denmark, England, Germany, Italy, Russia, Saudi Arabia, South Africa, the United States and more. We are truly a World School. We recognize that applying from outside Canada can present unique challenges. The Admission team is here to help and provide you with personalized guidance throughout the admission process. At The York School, English is the language of instruction. We accept applications to Junior Kindergarten, Senior Kindergarten, and Grade 1 from students with limited English, but strong foundational skills. Applicants to Grades 2 through 5 who have very strong academic records and solid foundational skills in English will be considered. Students applying to Grade 6 through 11 must be able to demonstrate English language proficiency (in writing, verbal, and reading comprehension skills) as The York School does not provide any ESL support. A student applying to Grade 9 or 10, for example, must be at an ESL Level 4 or above to be considered for admission, achieve a score of at least 100 on the TOEFL iBT, 800 on the TOEFL Junior, or 7 on IELTS. English language skills (reading and writing) will be assessed during the admission process. We accept Proof of English language proficiency through tests like the TOEFL or IELTS. Students start taking French as an additional language in Junior Kindergarten. French is offered until Graduation (mandatory through Grade 9). Students also have the option to study Mandarin starting in Grade 6 or Spanish starting in Grade 7. Applicants interested in applying directly to the International Baccalaureate Diploma Programme (which is a two-year program starting in Grade 11) can take French, Spanish, or Mandarin as a Language B at the Standard or Higher Level. International students who do not hold Canadian citizenship or landed immigrant status may be required to apply for a Study Permit before moving to Canada. All applicants who are accepted to study at The York School are provided with an Offer of Place letter which may be used in an application for a Study Permit along with a separate Letter of Acceptance that The York School can provide on an as-needed basis. Please contact your local Canadian Embassy or Consulate for further information on student visa requirements. 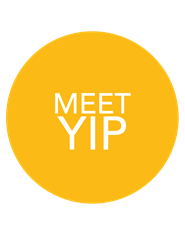 Families moving to Toronto for the first time (or returning after an international posting), will find The York School International Parents’ Association (YIPA) an invaluable resource for orienting families to the country, city and school. We have an active network of Parent Ambassadors who are also here to help!